Representative Jason Spencer, fellow bill sponsors, advocates, attorneys and survivors address the media in a press conference to introduce House Bill 605, the “Hidden Predator Act of 2018,” which will update the current Hidden Predator Act law so that organizations who knowingly covered up child sexual abuse do not escape justice. A message of hope and healing to help overcome our deepest PAIN, stand on God’s PROMISES, discover a deeper PURPOSE and live in Perfect PEACE. The Annual Honorary Friendship Awards recognizes trailblazers, trendsetters and eminent individuals in their respected fields. These individuals have made a huge impact within the communities in which they serve. ​ They are individuals who are inspirational, motivational and encouraging mentors to all mankind regardless of ethnic background, social status, educational background, or income. ​ It is the mission of the Honorary Friendship Awards to encourage, edify, empower, and educate men and women from all walks of life. As such, this awards gala endeavors to maintain an atmosphere of integrity and respect for all who attend and for those who seek and exemplify excellence regardless of ethnicities and cultures. ​ We have over 30 award categories, which are located to the right, however, we may not fill all positions but strive to fit each honoree within in their field of expertise, passion and areas they have supported. We award honorees in a specific category based on the information we gather from their portfolio and/or the information that they provide us. ​ This year our auspicious ceremony will consist of light hor d'oeuvres, a full service cocktail bar, plated dinner, Swag Bags for our VIP Ticket Holders, a professional photographer, Celebrity Meet & Greet, live entertainment, celebrity host and of course, the award presentation. ​ Tickets may be purchased by placing your cursor over the Honorary Awards tab and clicking Purchase Tickets.Space is limited! Honorees are not required to sell tickets, we just ask that each honoree invite a minimum of 15 guest, because this event is for and about you, so why not share it with your family, friends, co-workers and supporters. Angela Williams share important legislative reform in the passing of House Bill 17 The Hidden Predator Act extending the civil statute of limitations for child sexual abuse cases, providing a two year retroactive window for victims to bring civil action against their perpetrator and the new open records law. Angela Williams will be presenting Physician’s Power To Protect, a child sexual abuse preventative and intervention training. 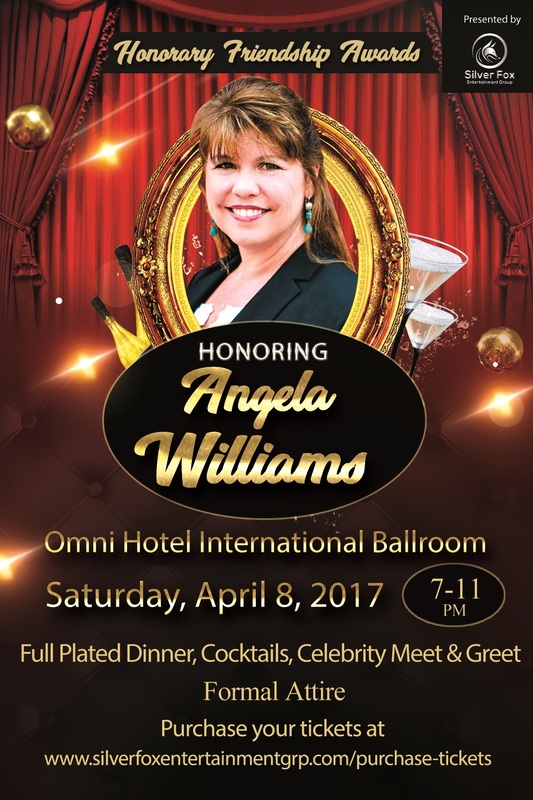 Angela Williams, Founder of VOICE Today is a national leading child advocate who has been instrumental in policy reform and serves on the National Coalition to Prevent Child Sexual Abuse & Exploitation. Receive critical information on the issues surrounding child sexual abuse and how you can become a frontline defender. Please join us at Kennesaw State University! 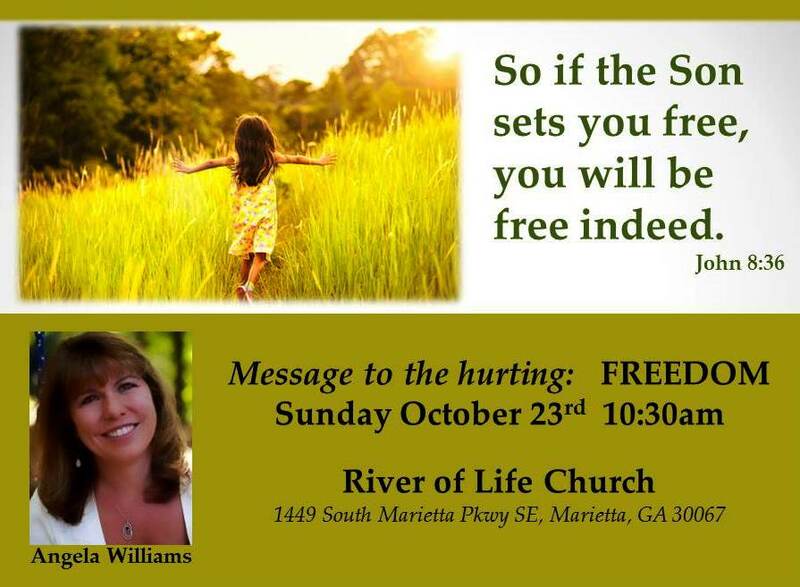 I am so blessed and honored to be invited to lead prayer around sexual wounding October 27 at 2pm! 2 Chronicles 7:14 If my people, who are called by my name, will humble themselves and pray and seek my face and turn from their wicked ways, then I will hear from heaven, and I will forgive their sin and will heal their land. 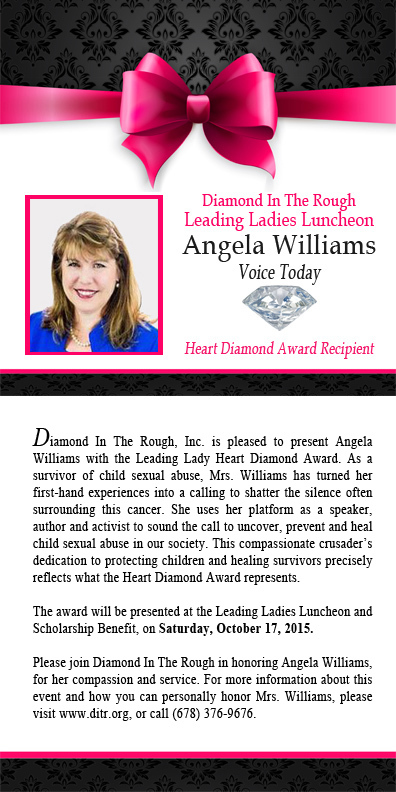 Join me for this special occasion to receive the Heart Diamond Award and learn more about Diamond In The Rough, and amazing youth mentoring organization. Angela Williams will be the keynote speaker at the July Vidalia Kiwanis Club Meeting speaking on the issue of child sexual abuse and exploitations. 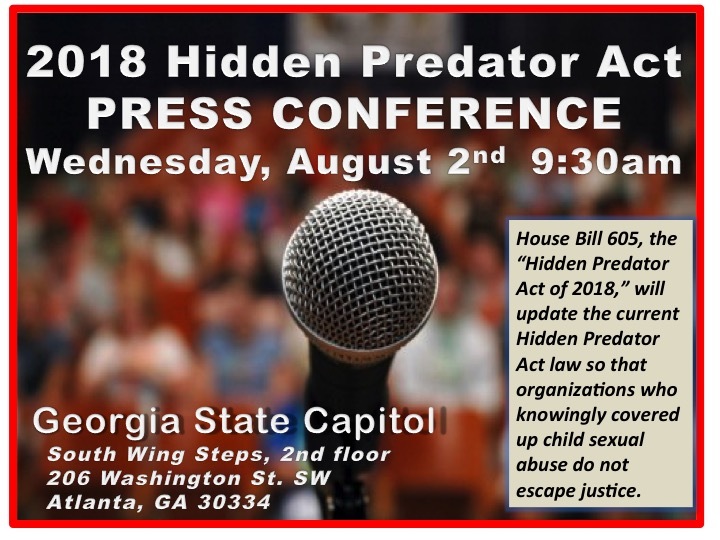 She will share the recent legislation that was passed and became law July 1st called the Hidden Predator Act House Bill 17 to extend the civil statute of limitations on child sexual abuse cases. She will also share the work of VOICE Today to break the silence and cycle of child sexual abuse and exploitation. VOICE Today provides advocacy, awareness, prevention and healing programs. Their goal is to protect the next generation of children and help survivors to heal. Angela Williams will be the keynote speaker at the December Rotary Club of White County Club Meeting speaking on the issue of child sexual abuse and exploitations. She will share the recent legislation that was passed and became law July 1st called the Hidden Predator Act House Bill 17 to extend the civil statute of limitations on child sexual abuse cases. She will also share the work of VOICE Today to break the silence and cycle of child sexual abuse and exploitation. VOICE Today provides advocacy, awareness, prevention and healing programs. Their goal is to protect the next generation of children and help survivors to heal. 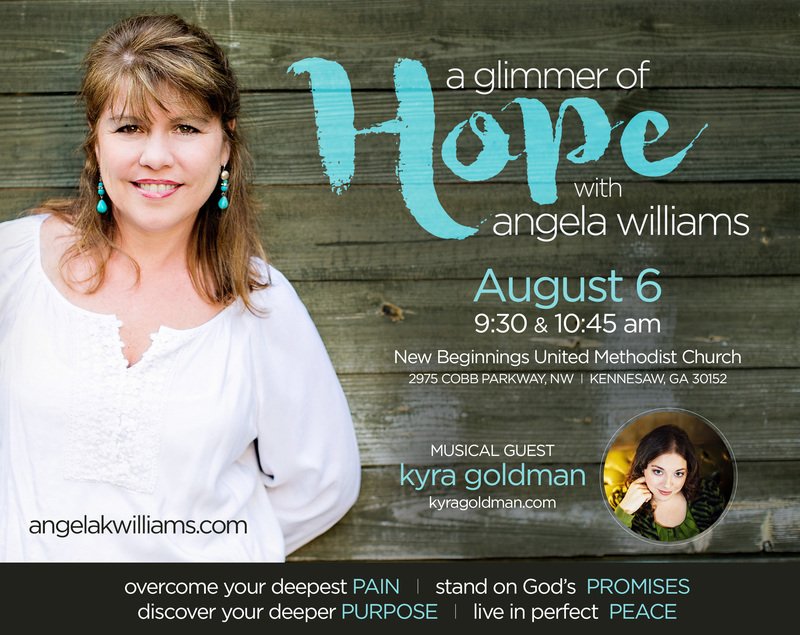 Angela Williams will be the keynote speaker at the August Rotary Club of Buford/North Gwinnet Meeting speaking on the issue of child sexual abuse and exploitations. She will share the recent legislation that was passed and became law July 1st called the Hidden Predator Act House Bill 17 to extend the civil statute of limitations on child sexual abuse cases. She will also share the work of VOICE Today to break the silence and cycle of child sexual abuse and exploitation. VOICE Today provides advocacy, awareness, prevention and healing programs. Their goal is to protect the next generation of children and help survivors to heal. Angela Williams will be the keynote speaker at the July South Forsyth Rotary Club Meeting speaking on the issue of child sexual abuse and exploitations. She will share the recent legislation that was passed and became law July 1st called the Hidden Predator Act House Bill 17 to extend the civil statute of limitations on child sexual abuse cases. She will also share the work of VOICE Today to break the silence and cycle of child sexual abuse and exploitation. VOICE Today provides advocacy, awareness, prevention and healing programs. Their goal is to protect the next generation of children and help survivors to heal. Angela Williams will be the keynote speaker at the July Henry County Rotary Club Meeting speaking on the issue of child sexual abuse and exploitations. She will share the recent legislation that was passed and became law July 1st called the Hidden Predator Act House Bill 17 to extend the civil statute of limitations on child sexual abuse cases. She will also share the work of VOICE Today to break the silence and cycle of child sexual abuse and exploitation. VOICE Today provides advocacy, awareness, prevention and healing programs. Their goal is to protect the next generation of children and help survivors to heal. Angela Williams speaks on the VOICE MOVEMENT, HB17 and the work of VOICE Today to protect the next generation of children and help survivors to heal. Healing from childhood sexual abuse and exploitation is a lifetime journey and many survivors travel a rocky road. We understand your struggles. 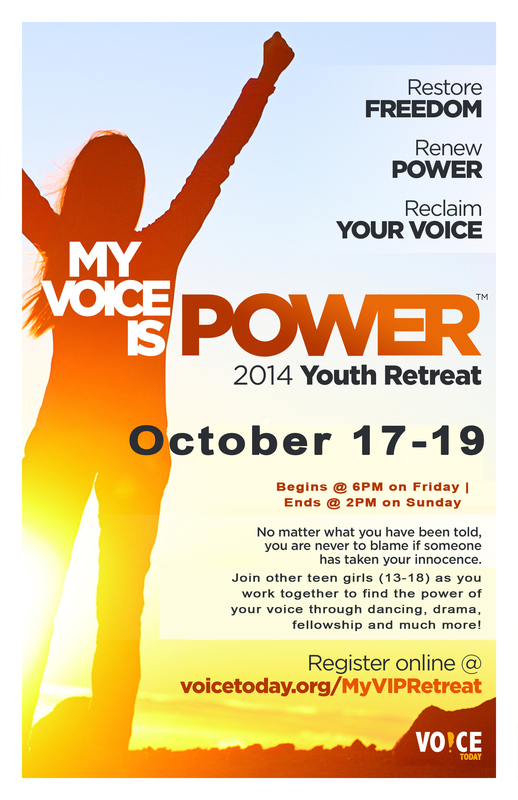 The MY VOICE IS POWER RETREAT can accommodate 12 young women ages 13 to 18, so please don’t delay. You deserve to heal and an opportunity to reclaim your power, your voice and strength. The caring and sensitive VOICE Today retreat team will help you sort through the myriad of emotions, challenges, unhealthy beliefs and behaviors. You will be surrounded with love and compassion by an experienced team of counselors and survivors who too have traveled this arduous path before you. You may feel apprehension, even fear but that will only block your opportunity to participate in a powerful weekend of healing and growth. The weekend will be filled with fun adventure, fellowship and healing activities that will begin on Friday at 6:00 pm and end on Sunday at 2:00 pm. If you would like to speak to a team member please call 678.578.4888 to have an opportunity to ask questions and learn more about the weekend. It is time to reclaim your VOICE and your POWER! 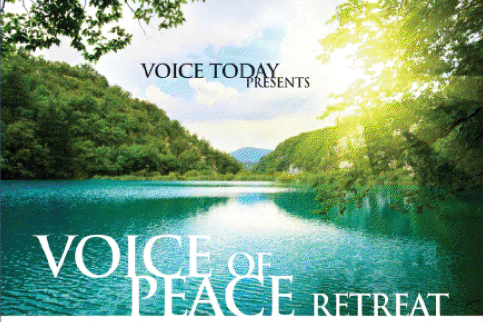 The 2014 VOICE of Peace Women’s Retreat at John Tanner State Park is a very special time for survivors of child sexual abuse and exploitation to receive peace, healing, and restoration through the power of faith in God, His Word and His Will. Attendees will leave the retreat refreshed and renewed and filled with the confidence that they can have a full and abundant life. Register now, limited to first 16 women registrations. Scholarships availble on a need basis, first come, first serve.